Can farm rehab keep addicts clean? At San Patrignano, a drug treatment center in Rimini, Italy, more than a thousand people – mostly men, the majority in their 20s – gather at long tables in a cavernous dining hall. A sharp clap of hands cuts the buzz of chatter. Suddenly, everyone stands in unison and pauses for a moment of silence. Another clap and all sit back down. Lunch is served. But this is not just any institutional lunch. The meal includes house-made charcuterie from the Mora Romagnola pigs kept outside and tended to by residents; pasta with a ragout of vegetables plucked from the garden that morning; fresh ricotta made from the milk of the brown Alpine cows likewise housed on campus and crusty loaves of just-baked bread. Even the olive oil is homemade. In fact, almost all of the food consumed at San Patrignano comes from vegetables or animals farmed by the 1,300 recovering drug addicts living at the center. Every element of the meal is prepared by residents. Those who don’t farm or cook, serve. 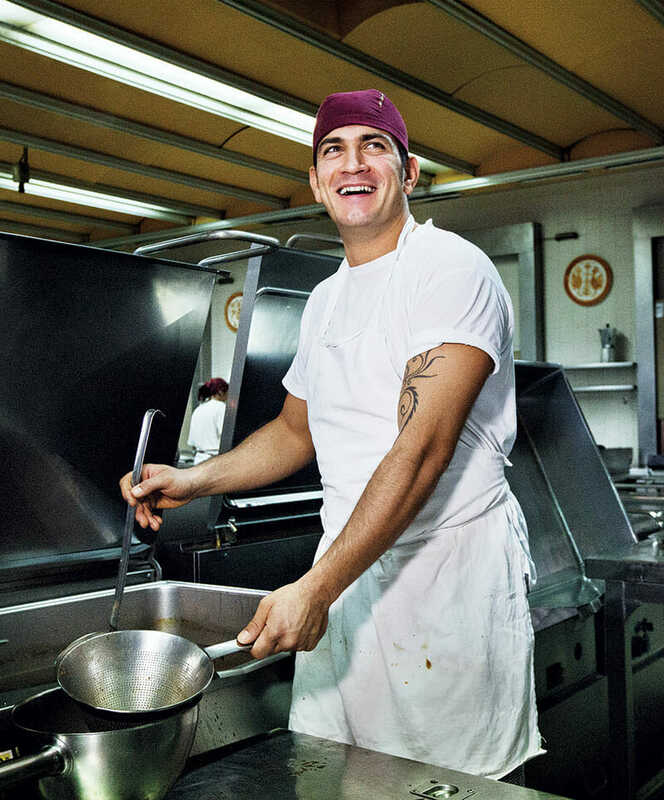 A resident works in San Patrignano's kitchen, where thousands of meals are served every day. 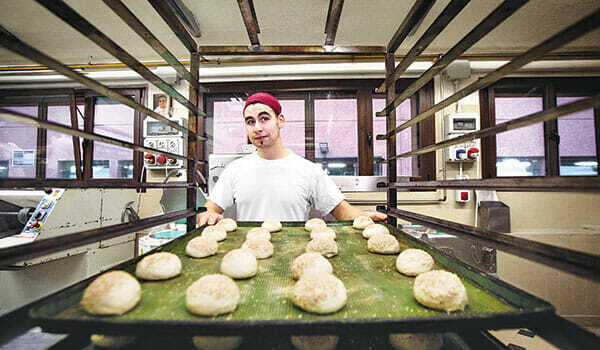 The bakery provides bread, cakes and pastries for the center, all made by recovering addicts. 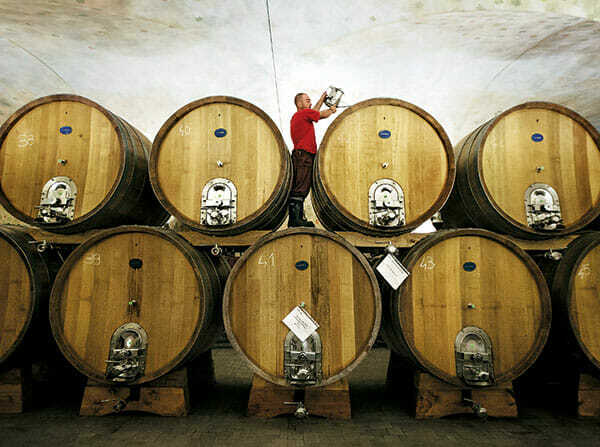 Wine production is big at San Patrignano, where residents work on cultivating the vineyards, wood-aging, bottling and warehouse operations to produce award-winning wines. 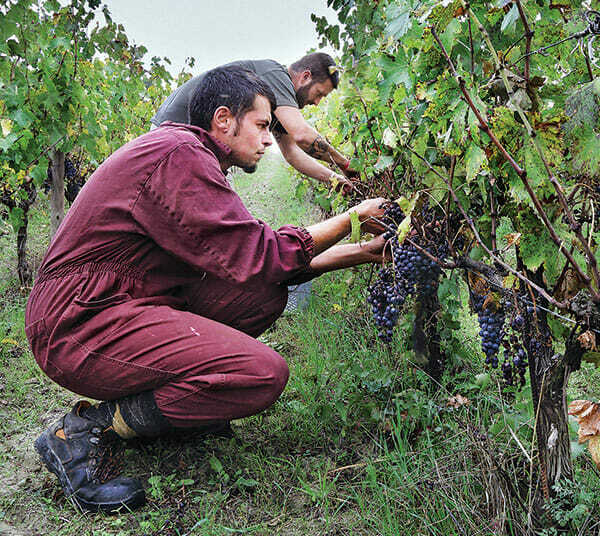 At San Patrignano, residents are served wine with meals - drinking wine is an integral part of the Italian culture, and not an issue with the majority of residents - here, two residents work in the vineyard, picking grapes. A view of the vine- yards surrounding San Patrignano, with the center's main building visible in the distance. Should farming be the future of rehab? The results at San Patrignano are certainly promising: More than 20,000 drug addicts have stayed here since it was founded by businessman and philanthropist Vincenzo Muccioli in 1979. Financed through donations, fundraisers and the sale of various products made at the center – including an award-winning wine. San Patrignano boasts a 70 percent success rate among residents who complete the program. Farm rehab is not just for drug addiction. Rehabilitation for prison inmates includes programs ranging from greenhouse work on Rikers Island to taming wild horses at Wyoming’s Honor Farm. But the oldest therapeutic farm program in the U.S. – 100 years and going – is for those with mental illness. Gould Farm, a 650-acre working farm located in the hills of the Berkshires, was founded by congregational minister William Gould in 1913, who envisioned a community for emotional rehabilitation. Gould believed “that people need meaningful work in order to know who they are in the world,” says Debbie Burkhart, acting executive director at Gould Farm. Today, between 30 and 40 residents stay at the farm anywhere from six months to three years at a cost of $335 a day. Residents struggle with major mental illnesses: depression, bipolar disorder, schizoaffective disorder and schizophrenia among them. The program at the farm includes the use of medication and therapy – plus structured farm work in the context of a nurturing community. Addicts are admitted free of charge, sometimes in lieu of a prison sentence, and stay for a minimum of three years. Residents live together, their days filled with therapeutic programs and vocational activities – involving everything from raising cattle to growing vegetables, training horses to making cheese. Of course, farming itself is not a cure. “Going to a farm and working has nothing to do with addiction,” says Dr. Lance Dodes, a retired professor of psychiatry at Harvard Medical School and author of “The Heart of Addiction.” “Addiction is not [caused by] a deficit of farming.” But proponents argue that the daily work does provide a structure, responsibility and sense of community that can help in the recovery of many. Most important, says Dodes, it can help build self-confidence. 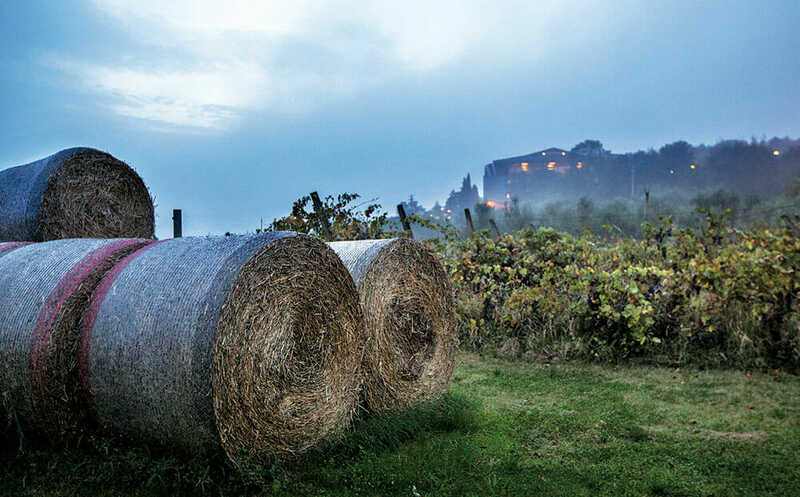 In Europe, San Patrignano is among several rehab centers of its ilk. In Austria, the rehabilitation center GruÌˆner Kreis (which means “green circle”) has its patients help breed and care for French Noir de Bigorre swine as part of its program. “In general, the work with animals demands punctuality, a sense of responsibility and empathy with the animal’s needs and those of the herd,” says Robert Muhr, head of therapy at GruÌˆner Kreis. These qualities, he says, were missing from most of the patients’ previous lives. The addicts that come to San Patrignano are a self-selected group. “We don’t accept into treatment those who are not really motivated to change their life,” says Boschini. This jibes with the experience of addicts like Fabio Ferretti, a tall, 39-year-old patient who applied to San Patrignano many times before he was accepted to the program. Ferretti came to the nearly 300-hectare farm with experience working a printing press, but has focused his attention for the past four years on the pigs. It’s better, he says, “to work at something other than the trades we have learned.” And there is room to learn a lot – there are more than 50 professional tracks at San Patrignano. Vineyards, olive trees and pastures make up the majority of the center’s land. Alcohol dependency returning from remission.